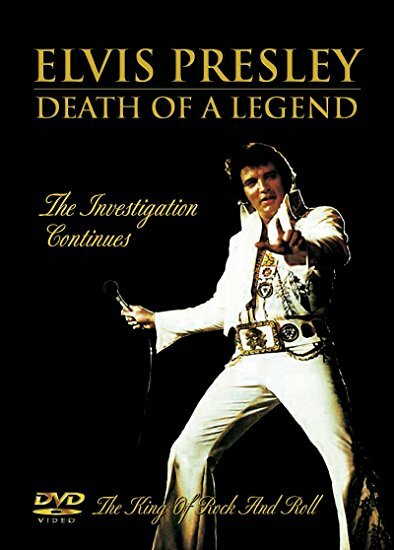 'DEATH OF A LEGEND - THE INVESTIGATION CONTINUES' On August 17 1977 Elvis Presley, loved and adored by millions of fans and devotees worldwide, died alone and virtually penniless. In this intimate and respectful documentary we hear comments from those who were closest to Elvis, the people charged with caring for him and who were at Graceland on that fateful day. They talk of Elvis's final moments and how a sequence of events led to a sad and lonely end for one of the world's greatest entertainers. Reunited for the first time his longest serving friends tell their personal, revealing and often amazing stories. These are the men who were trusted by Elvis to share his innermost thoughts and secrets known collectively as the Memphis Mafia. With the help of reconstructions and eye-witness accounts this DVD examines the drugs, the girls, the financial meltdown and the pivotal role of Colonel Tom Parker leading up to the death of a legend.